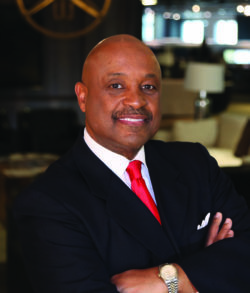 Dr. Willie Jolley is a world renowned speaker, singer, author, and media personality. In 2017, he was named “A Legend of the Speaking Industry.” In 2005, he was inducted into the prestigious Speaker Hall of Fame, and He is the speaker who was chosen to replace the legendary Zig Ziglar on the national Get Motivated tour, upon Zig’s passing. Back in 1999, he was named “One of the Outstanding Five Speakers in the World and Motivational /Inspirational Speaker of The Year” by the 175,000 members of Toastmasters International. 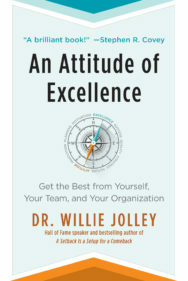 Dr. Jolley is the host of the #1 Motivational Show in America on Sirius XM, daily radio preceding Steve Harvey on WHUR FM and host of a popular podcast on IHeartRadio. He is the author of several international bestselling books including It Only Takes A Minute To Change Your Life, A Setback Is A Setup For A Comeback, and Turn Setbacks Into Greenbacks. Many know him as the speaker who helped Ford Motors go from the brink of bankruptcy in 2006 to be able to reject a government bailout in 2009. He speaks globally for many Fortune 100 companies and also broadcasts globally on his new JolleyTV network.